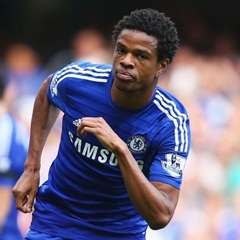 London - Jose Mourinho believes he owes a debt to Loic Remy after the striker came off the bench to score the winner in the 3-2 victory over Hull City on Sunday that moves Chelsea six points clear in the Premier League title race. The French striker, who has been used mainly as a substitute by the Chelsea manager following his move from Queens Park Rangers in August, came on at the KC Stadium after 75 minutes following Diego Costa's hamstring injury. The 28-year-old then scored with his first touch to put Chelsea back in front after they had squandered a 2-0 lead, a goal which allowed the Londoners to regain their six point lead over Manchester City. "Every time he plays, he's there. He probably deserves more than what I've given him," an admiring Mourinho told Chelsea's official website. "Sometimes a coach can feel he owes something to a player and with Remy that's the case. I think I owe him something. Every time he plays he gives us a lot, I'm so happy for him because he deserves it."